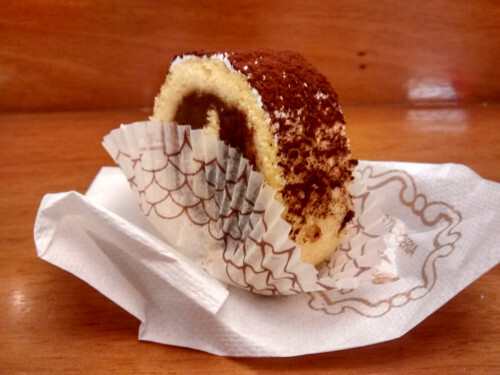 Venice Cake & Chocolate Food tour: A tour with a health care warning and not for the faint hearted – “the” perfect sugar rush! From the city who brought sugar to the world and coffee to our breakfast tables: stroll through the small alleys of Venice and jump on a sugar-coated roller-coaster ride discovering what sweet dreams are made of. Small pastine, profiteroles, bignets, hand-made chocolates and sweet desserts – just some of what the best patisseries in Venice can come up with. 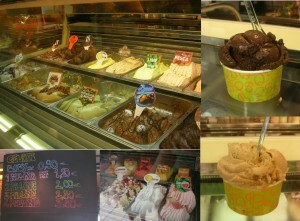 A morning walking tour which will take you to some of Venice’s best quality and especially chosen dessert shops. The only downside to a thick, gooey piece of cake or a luxurious bite of mouthwatering chocolate is the feeling of guilt that usually comes as you clean up the last few crumbs. But throw a nice walk into the mix and you can scoff away with a nearly clear conscience (as long as you don’t sit down and work out how many calories you actually gained). Join Monica on a tour of some of the best cake and chocolate shops in Venice, as well as in one of the best ice-cream parlours of the city. This walking tour explores Venice’s sestieri of Cannaregio, Dorsoduro and Santa Croce and is ideal for those visitors who are looking to discover some new venues to feed their cake passion. Each establishment has been lovingly researched (it’s a hard job but somebody’s got to do it), so join Monica in exploring charming patisseries, some dating back to the 1700s and making cakes so beautiful that they are almost too nice to eat, and decadent chocolate shops – discover delicious pastine, tiramisù, small chocolates and refreshing gelatos. 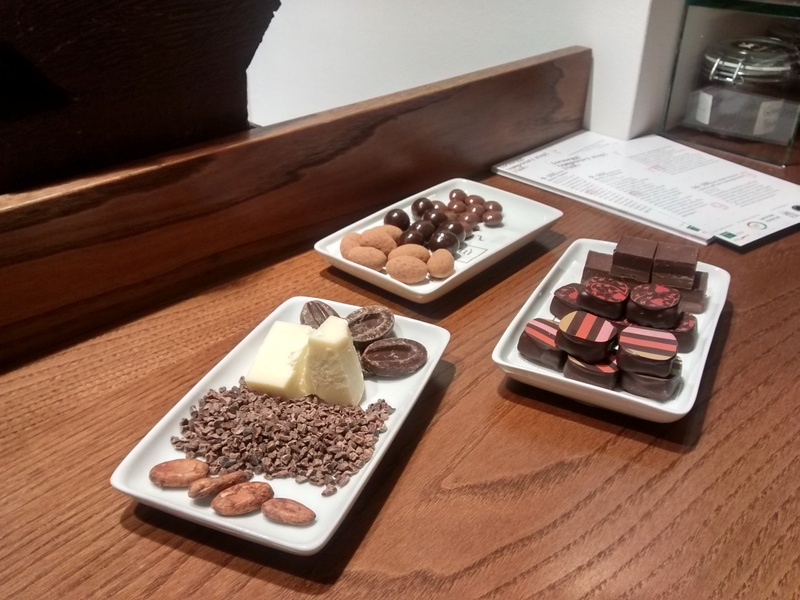 During the tour you will be also experiencing a chocolate tasting with a professional chocolatiere talking about the history of chocolate and the explanation of how chocolate is made! 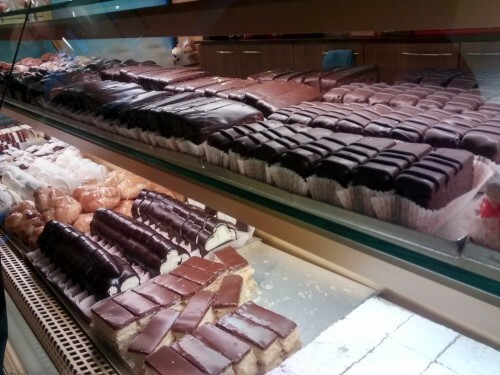 And while you munch away on some of the best Venetian cakes, Monica will talk to you about this amazing city and its inhabitants, the history of sugar, coffee and the tradition of cake making in Veneto. This is a nice, friendly and relaxed morning Walking Cake & Chocolate Tour of Venice, just like if you were visiting the city with a friend. 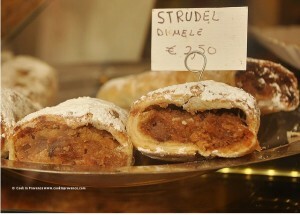 The Walking Venice Cake & Chocolate Food tour is in English, lasts 3 hours and starts from Piazzale Roma at 9am. The cost is Euro 65.00 per person (including the chocolate tasting experince) plus the cost of the food and drinks you will be having in each place (an average of about 2-5 Euros per person in each place, according to how much you purchase). Minimum 2 people, maximum 8 people. Single participants can join an existing tour if already scheduled. Tuesday to Saturday (no Sundays or Mondays). It’s a walking tour, so wear comfortable shoes and clothing, there is quite a lot of walking on the tour. Although in no way arduous we recommend that participants are mobile and at least 5 years of age. The Tour takes place rain or shine. If you have a sweet tooth and love cakes and patisserie, this tour is definitely for you. 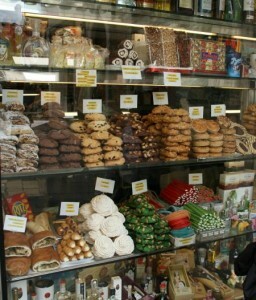 This is a walking tour and, with many treats to try and buy. You’ll get the chance to buy at each stop though, so make sure you bring along not just an appetite – but also a decent sized bag to take home some delights!